INDIANAPOLIS – Brizo®, the faucet brand for the fashion forward, delivers its sleekest kitchen design to date with Solna®, a modern, European kitchen pull-down. 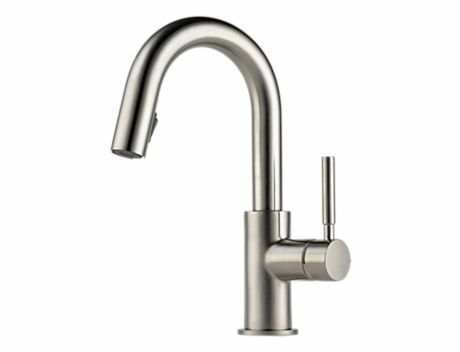 Solna takes contemporary to a new level with crisp lines influenced by Scandinavian furniture and a seamless hidden pull-down wand that affords homeowners the luxury of both stream and spray settings. 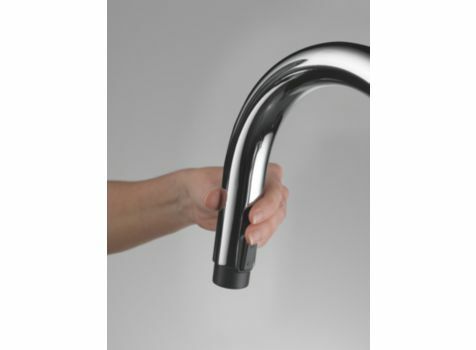 Solna features the Brizo brand’s first-ever hidden pull-down wand housed neatly inside the spout and held securely through MagneDockTM Technology, an exclusive magnetic docking system that utilizes a powerful magnet to securely lock the wand in place. 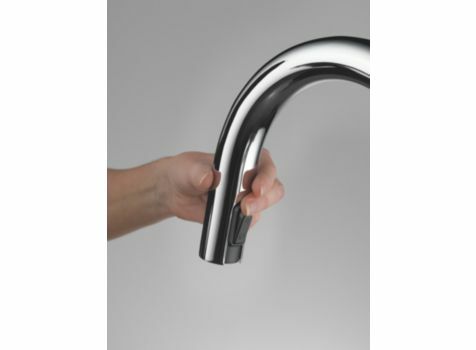 Similar in functionality to magnetic closures found on totes and personal electronics cases, this magnetic connection makes the wand extremely easy to engage and disengage, without any risk of the wand slipping from the spout when not in use. Finally, Solna incorporates a next generation DIAMOND™ valve, an integrated ceramic valve cartridge featuring one ceramic disc and one diamond-embedded ceramic disc. As the two discs move against each other, the diamond-embedded disc constantly polishes the uncoated ceramic disc, removing calcium and mineral deposits. The valve lasts up to ten times the industry standard, requires no lubrication, eliminates wear on seals, and ensures “like new” operation for life. 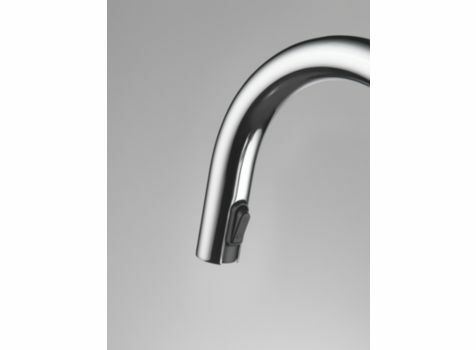 Solna is compliant with low lead legislation and will be available in Polished Chrome, Brilliance® Stainless and Brilliance® Brushed Bronze finishes in single-hole, single-handle kitchen and bar/prep configurations. Brizo®, the faucet brand for the fashion forward, meets the demand for aesthetics and performance with a collection of distinctively designed faucets and related products that create a fashion statement in the home. Providing the latest in inventive technologies, fashion-forward design and award winning performance, the Brizo brand is a fashion label that believes form and function are one and beautifully the same. Carmen - thanks for the great post on our new product. 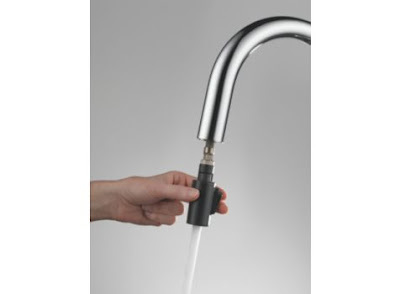 I love this kitchen faucet. It is so sleek and contemporary... perfect for that chic urban loft. So great meeting you last week. Solna was one of my favorites from last week. And one that may not yet be mentioned.